Hello music video lovers, it’s Andy Gesner and the staff from HIP Video Promo bringing you a new video from an artist very dear to us here at HIP. If you tuned in last week for the fourth-year season finale of House, you may have been surprised to hear José González’s version of “Teardrop” playing during a pivotal scene. True, the popular Fox medical drama has always used an instrumental portion of the original Massive Attack classic for its titles. But González’s reading of the poem is so intimate and arresting that it practically reinvents the song. That’s not unusual for the Swedish-born singer-songwriter: over the years, he’s established himself as one of the most gifted and transformative interpreters working in indiepop (and one with remarkable taste as well). 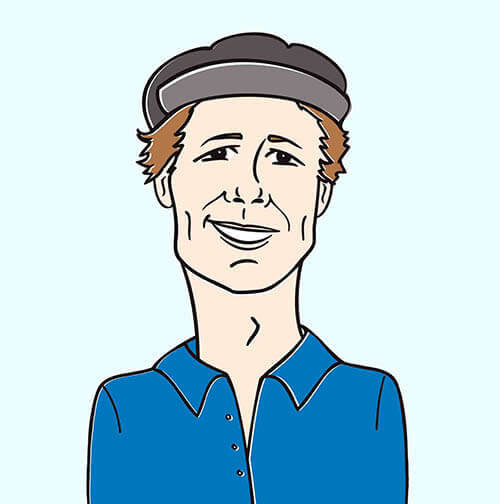 González has become just as renowned for his stark acoustic and near-acoustic versions of world-famous pop songs as he has for his hypnotic originals – check out, for instance, his breathtaking reading of Bronski Beat’s “Smalltown Boy”, released as a B-side to his last single. Massive Attack’s “Teardrop” was a standout track from their post-techno masterpiece Mezzanine – a seminal cut that helped introduce the “chillout” and “downtempo” subgenres to America. 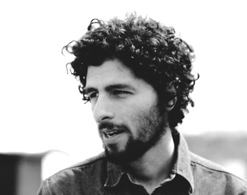 José González is no stranger to electronic music himself; he’s collaborated with Zero 7 and Swedish deejay Embee, and his work has been successfully remixed by many of Europe’s premiere producers. But González’s take on “Teardrop” is purely traditional: a mesmerizing guitar pattern, the natural percussion of fingers on strings, and the singer’s own ethereal and slightly spooky vocals. Ironically, González’s “Teardrop” is as much a centerpiece of the heralded In Our Nature as Massive Attack’s was onMezzanine. It’s a testament to the enduring quality of the song and to the appeal of the gorgeous melody and the elliptical, evocative lyrics. While Massive Attack’s “Teardrop” is almost universally loved, its memorable promo clip – a fetus singing the lyrics from within the womb – mystified some listeners. Andreas Nilsson’s apocalyptic video for González’s “Teardrop” should engender no such confusion. It’s an animated tour de force: a collection of striking images, ominous signifiers, bright colors, and Biblical thunder. If González’s version of “Teardrop” coaxes the primal force out of Massive Attack’s cool electronica, Nilsson’s video makes the song’s powerful subtext manifest. The video opens with images of two walled cities; one boasts the minarets characteristic of Islamic architecture in its skyline while the other seems generically Western. No communication exists between the metropolises – a desert stretches between them, and mountains glower in the background. The sun rises to assume its midday position – but when it reaches the middle of the frame, it appears to “cry”. Two teardrops slide down either side of the sky, tracing golden lines as they do; the lines become the radiant face of an angry god, and one that eclipses both cities. Nilsson takes us then to a mythical Olympus, where faceless deities receive calls and fly through swirling vortexes of color. Summoned to our plane of existence, the gods rain fire and ash down on both cities, setting buildings ablaze and forcing animals and people alike out into the unwelcoming waste. Walls crack and rivers flood, and the magisterial deities petitioned by the two walled towns show no remorse. And after the last vestiges of the cities crumble into the surging waves, the skies part to show the outline of the face of the Manhog – that symbol of impending trouble and disaster who has haunted the prior clips from In Our Nature.